HELLO STAFFORD BROTHERS, CHRISTINA MILIAN! What’s all this then!? 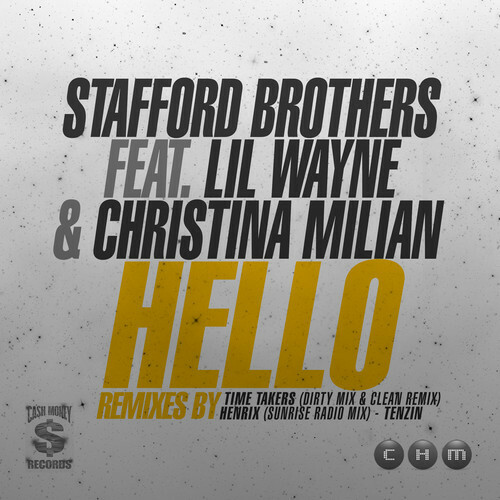 Gold Coast’s very own Stafford Brothers have roped in the big guns for their latest single ‘Hello’, dragging in not only the big name services of Lil Wayne, but also of pop songstress Christina Milian, who rocked the Aussie charts with her singles ‘When You Look At Me’ and ‘AM To PM’ back in the early ’00s. The boys have also announced today that they’ve signed a new deal with US indie label Cash Money Records and YMCMB. ‘Hello’ will hit radio on Monday next week and is available digitally now. Were you sitting on that!? Early 90s?! I think you mean 00s!